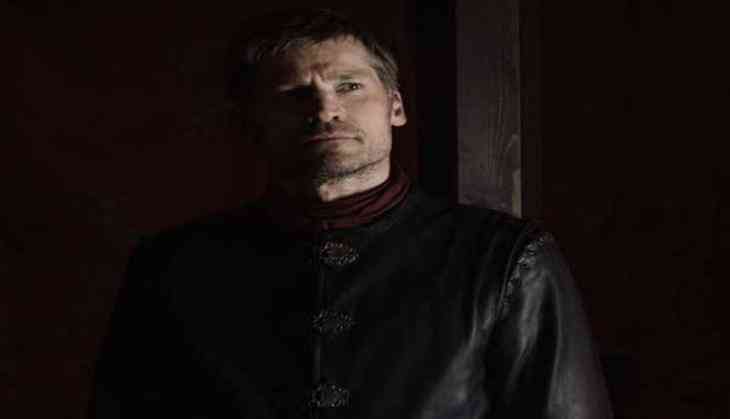 'Game of Thrones' actor Nikolaj Coster Waldau is suing his ex-manager for attempting to hold him to a pair of "sham documents". According to The Hollywood Reporter, Nikolaj Coster-Waldau is suing Jill Littman for fraud, claiming she's seeking commissions she isn't owed. The actor said Littman, and Impression Entertainment, tried to get him to sign a written agreement early in their relationship but he preferred they operate under an oral contract. Under that deal, beginning in 2006, Coster-Waldau would pay Littman 10 percent of his pay for employment obtained while she represented him. Now, the two are fighting over whether that pay was to continue after their relationship ended. Shortly after Coster-Waldau fired Littman he stopped payment on a commission check, eventually leading Impression to initiate arbitration proceedings. "Indeed, the only real factual dispute in this case is the timing of the Defendants' dishonesty. In either case, Coster-Waldau is entitled to a declaration that the Sham Documents are not and have never been binding contracts, as well as compensatory and punitive damages for Defendants' disloyal and fraudulent conduct," wrote attorney Michael Plonsker, speculating whether Impression always intended to hold the actor to the terms of the agreement and misled him or that it decided to do so after he fired the firm. The actor also on 28 July asked the court for a temporary restraining order enjoining Impression from proceeding with the arbitration. He claims the arbitration provision in his contract is unenforceable because the documents were signed as a result of fraud. Impression attorney Howard King, in an opposition to that motion, said in the same email Coster-Waldau wrote firing his managers he also "acknowledged his obligation to pay commissions to Impression on his earnings from Game of Thrones 'till it ends' and that Littman's work for him was 'absolutely stellar.' "
In the email, written aboard a flight from Munich to Los Angeles, Coster-Waldau explained that he hopes to spend more time behind the camera as a director and producer. "Chutzpah equals enjoying 8 years of superb management, signing written contracts promising to pay commissions for Game of Thrones in 2011 and 2014, terminating Impression by email in 2015 with profuse thanks for a career and promising payment of GOT commissions, then deciding in 2017 that it was all a dream and he doesn't owe any commissions," noted King. In the email, written aboard a flight from Munich to Los Angeles, Coster-Waldau explained that he hopes to spend more time behind the camera as a director and producer. He also says he isn't leaving Impression for another management firm, but because he wants to "take control" himself, and calls it a "weird and sad decision." "I am disappointed that, in addition to reneging on his contractual obligation to pay Impression for the hard work for which he expressed his gratitude many times, he has chosen to try to publicize our issues instead of to abide by the arbitration agreement to which he willingly and knowingly consented," shared Littman in a declaration also filed Friday. Coster-Waldau is asking the court for a declaration that the 2011 and 2014 documents are not binding contracts, that the oral agreement is the only valid agreement, that he may not be compelled to arbitrate any dispute with Littman or Impression and that the currently pending arbitration must be terminated. If the court determines either of the documents are binding, the actor wants the court to strike the provisions related to arbitration, the term of the agreement, Game of Thrones and any provisions that require him to pay commissions related to post-termination engagements.